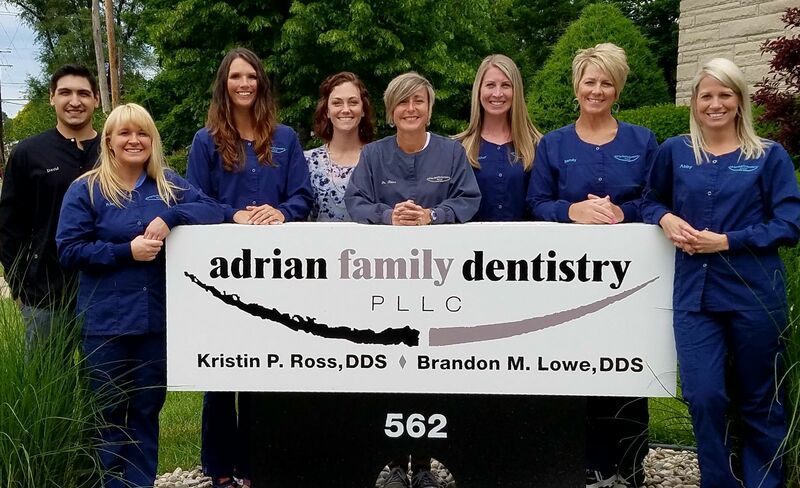 From your first contact with our Adrian Family Dentistry office you will know that this is not an ordinary dental practice. We've worked to build an exceptional team of dedicated, caring professionals committed to your good health and great smile. For more than a decade we have been providing families with quality dental care in pleasant surroundings. Your concerns and goals are our top priority. Thank you for choosing us as your dental care team. Dr. Kristin Ross is a native of this area. She graduated from Onsted High School, went on to college and graduated from the Univ of Michigan Dental School in 2000. She started working at Adrian Family Dentistry that same year. She loves dentistry and helping her patients. Dr. Ross is married to Robert Ross of Onsted and they have five beautiful daughters. Her interests include spending time with family, running, reading, enjoying the outdoors, especially the summer months. 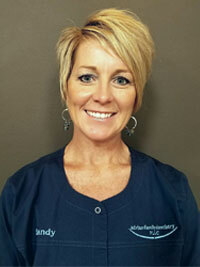 Sandy is a registered dental hygienist who started her career in dentistry as a assistant in 1986. She attended Kellogg Community College in Battle Creek, MI and graduated with a degree in dental hygiene. She has been a practicing hygienist in this office since June 1990. Her responsibilites include all clinical dental hygiene procedures. Sandy resides in Morenci with her husband Neiland their three children Austin, Ashley and Allison. They are members of Medina Federated Church in Hudson. In her leisure time she enjoys watchingher children at sporting events, camping, baking and shopping. 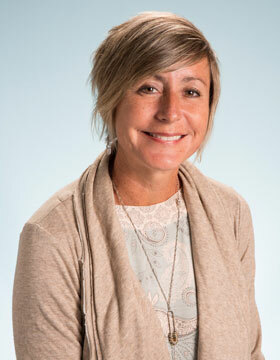 Abby joined the office in October 2005. She is a registered dental hygienist and our OSHA compliance officer. 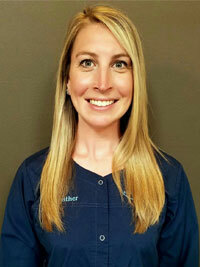 Abby loves to get to know and care for her patients.Abby graduated from dental hygiene school in 2002 from Kellogg Community College in Battle Creek, MI. Abby resides in Adrian with her two daughters Loryn and Rylee. Sheenjoys meeting new people and helping educate them about dental needs. Abby loves to travel and learn about new things. Heather joined our team about 9 years. She graduated from Kellogg Community College with a Associates Degree in Applied Science. 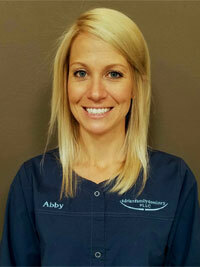 She enjoys being part of our great team and providing excellent are to our patients. Heather likes to snow/water ski, ride bikes and going shopping. Kari has been with our office for over 6 years. She received her dental assisting training from LISD tech center here in Adrian. 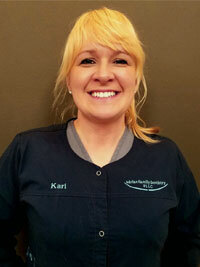 Kari enjoys working with the team and how every day is something new with different people. We have fun while we work. Kari is from Palmyra area and she likes to spend time with her family and friends. She loves to be outside, play volleyball and being involved inher church. In March 2013 Tracie joined our AFD team. She received her training from theLISD Tech Center in the Dental Aide program. Tracie enjoys working with patients and making them feel comfortable while here in our office.She graduated from Morenci and now lives Adrian with her husband Troy and their beautiful daughter Lucy. Outside of work you'll find Tracie doing some kind of outdoor activity, spending time with her family, shopping,orlaying in the sun. Favorite quote: "Every blondie needs a brownie by her side." 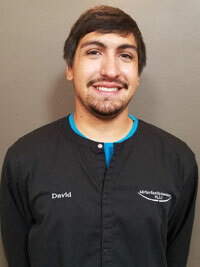 David is a dental assistant that joined AFD in 2010. He graduated from Tecumseh High School in 2011 and completed his assisting training in the Dental Aide program at LISD Tech Center. 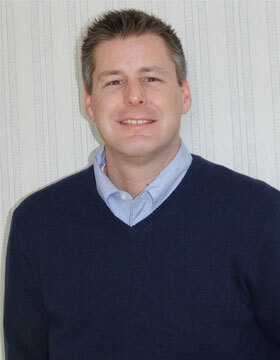 David enjoys talking to patients, helping them feel comfortable during procedures. He also likes working with our helpful and friendly team. David's hobbies consist of outdoor activities, spending time with his family, going to concerts and sporting events, playing video games and listening to music. He hopes to travel and see the world. David would like to try surfing, snowboarding, longboarding,wakeboarding, and paddleboarding in the future. Ashley joined our team in March 2006. She is one of our lovely receptionists and she will greet you with her warm, friendly smile. 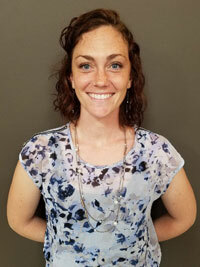 Ashley is one of our scheduling coordinators, handles patient accounts and insurance claims processing. If you have any questions regarding your insurance or account, she'd be happy to answer them for you. Ashley graduated from Onsted High School in 2002. 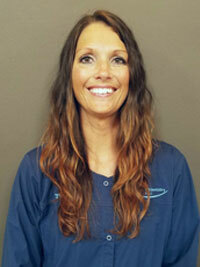 She completed the dental assisting course offered by Lenawee Vo-Tech in 2005. In September 2012, Ashley is married to Justin and they have a daughter Olivia and a son Wyatt. In Ashley's free time she enjoys spending time with her family and friends, catching up on sleep, watching movies, and fishing with Justin. She is so happy to be a part of the AFD family.